Licensing & Excise Duty Dept. Publicity & Public Relations Divn. Call Centre will answer q..
New Mobile App for rubber..
Training in testing and q..
Rubber Board training in ..
Rubber Board bags awards .. Contact Call Centre to kn..
Urea can be added for acc..
Revamped Website of the R..
Sri. D. Anandan IAS has taken over the charges of Chairman and Executive Director of the Rubber Board. He took charge from Dr M.K. Shanmuga Sundaram IAS . This is in addition to his existing charge of the Jt. Development Commissioner, MEPZ Special Economic Zone, Chennai. 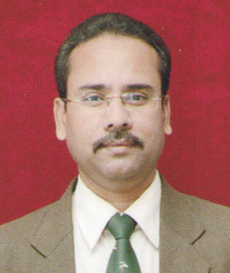 A 2000 batch IAS officer of Sikkim cadre, Sri. D. Anandan holds a post graduate degree in commerce and accountancy. He served Sikkim Government under various capacities including that of Chief Electoral Officer, Sikkim. The Rubber Research Institute of India (RRII) was established in 1955. The Institute has attained a prestigious position in the international rubber scenario through its research contributions. RRII is a member of the International Rubber Research and Development Board (IRRDB) and actively participates in many international research programmes. RRII has played a significant role in India achieving high productivity. The headquarters of RRII is located on a hillock, 8 km east of Kottayam town in Kerala State with a research farm attached to it. The nearest airport is at Nedumbassery, Kochi, 100 km north. The Central Experiment Station of the Institute is located at Chethackal (Ranni) 50 km away from Kottayam. To conduct location specific research, the Institute has established a research complex for North East India with headquarters at Agartala and having regional research stations at Agartala in Tripura, Guwahati in Assam and Tura in Meghalaya. RRII has also set up regional research stations at Dapchari (Maharashtra), Kamakhyanagar (Orissa), Nagrakatta (West Bengal), Paraliar (Tamil Nadu), Nettana (Karnataka) and Padiyoor (Kerala). Soil and leaf testing laboratories have been established at Kottayam, Tripura, Thaliparamba, Kozhikode, Thrissur, Muvattupuzha, Palai, Kanjirappally, Adoor and Nedumangad. Mobile units for soil and leaf analysis are available at the headquarters, Tripura, Kozhikode, Muvattupuzha and Adoor. ** The prices shown above do not include GST @ 5% on purchase and expenses towards packing, transportation, warehousing and other incidentals. *(price not available). #(Market Holiday). ~(No Transaction). RE-1 Training in capacity building ..
RE-4 Refresher Training for Rubber ..
RE-5 Refresher Training for Kudumba..